If you follow me on Instagram (@nourish_naturally), you would have seen my recent adventures in the tropical jungle paradise, Sumba, where I was invited to stay for a few nights at Nihiwatu resort. 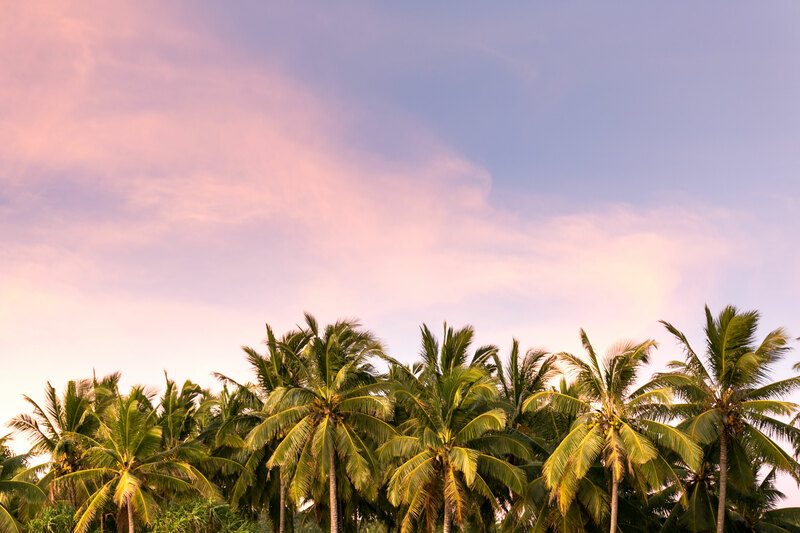 Sumba is small island in Indonesia & while it’s only a 1hr flight from Bali, it remains a hidden gem, packed with untouched beaches, jungles full of palm trees and beautiful local Sumba people. Perched on the stunning coast line of Sumba is Nihiwatu, an exotic resort that was voted the number 1 hotel in the world by Travel & Leisure Magazine. 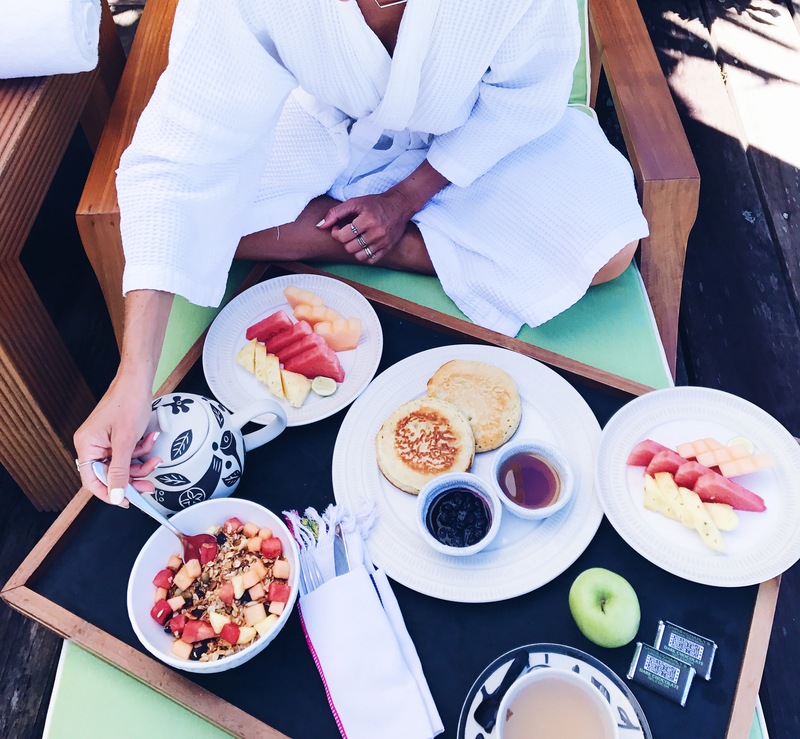 Nihiwatu is often referred to as “the edge of wildness” due to it’s raw & remote location, which I believe takes you to the heart of true wellness. 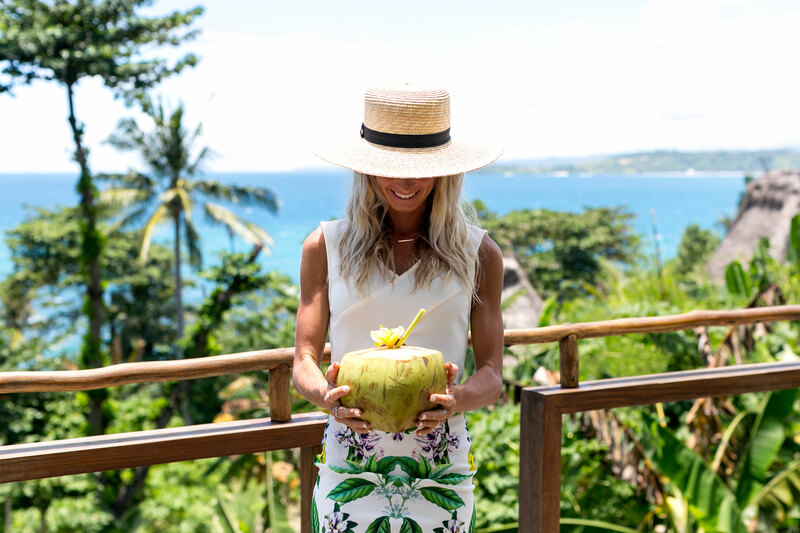 Find out why I fell in love with Nihiwatu and other than its stunning location, what else makes it the Ultimate Wellness Destination. 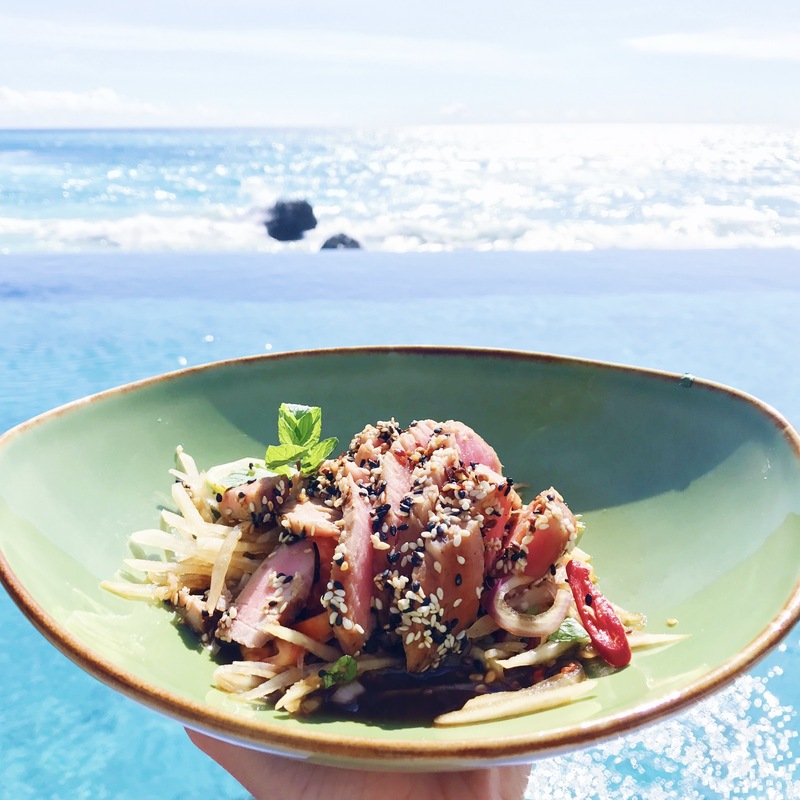 The food at Nihiwatu was incredibly nourishing & delicious and receives a big dietitian tick of approval. Nihiwatu uses vegetables and legumes that are grown in their very own organic gardens (they have 3 organic gardens in fact!) and fresh fruits from the island’s papaya & coconut trees. Fish are caught straight from the ocean & meals are flavoured with traditional herbs, spices & chili. My favourite meal was the Fresh Papaya Salad with Tuna Sashimi & I fell in love with the freshly made veggie juices & giant Coconuts, which I drunk daily to stay hydrated in the beautiful, sunny weather. Group & private yoga classes are offered daily at Nihiwatu on an open-aired platform with 360 degree views of the ocean. It’s the perfect place for some relaxing & rejuvenating me time & can also be beneficial for digestion, athletic problems & surfers. Classes include Vinyasa Flow, Ashtanga, Hatha, Restorative, Kundalini, Pranayama or Yin yoga taught by the amazing resident yogi, Mary Tilson, who also has a beautiful yoga clothing range, Sumba Warrior Collection, which I absolutely love! This is an absolute must if you visit Nihiwatu! The Spa Safari beings with an awe inspiring 90 minute trek through rice fields, palm-filled jungle, rolling hills & Sumba villages. On our trek, we saw wild water buffalo & met kids in the local tribes. 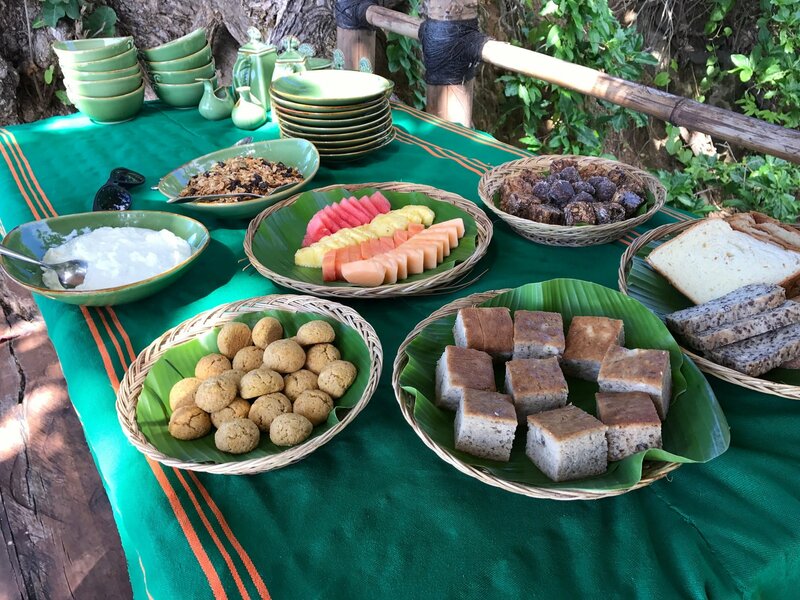 Our trek leader climbed a coconut tree to get us some fresh coconut water along to way and when we arrived to Nihi Oka, we enjoyed a healthy breakfast of freshly made veggie juices, fruit salad and muesli, all in our very own cliff top tree house over a secluded turquoise beach. We were then treated to amazing treatments. I chose a full body massage, facial and head massage and have never felt so zen in my life. Stand Up Paddle Boarding (SUP) in Sumba is like no other Sup’ing you will ever experience. We SUP’d for two hours in the clean, fresh air and sunshine down a river past wild buffalos, goats, Sumba villages and were even greeted by beautiful Sumba children who were just adorable. Every child we passed ran out with a big smile and calling Dah, which is hello. 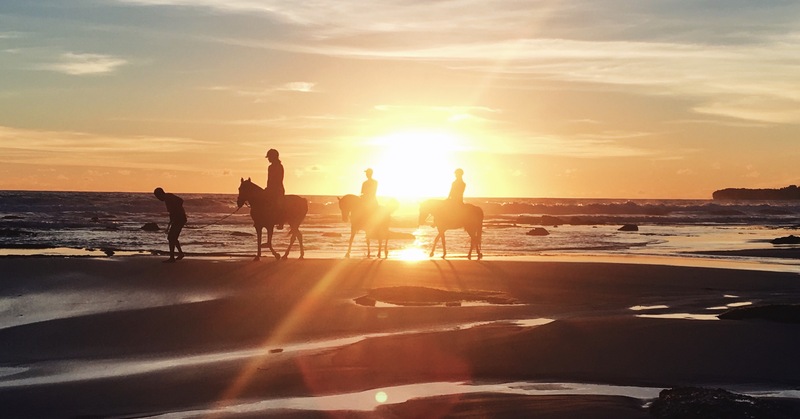 One of the most beautiful ways to watch the sunset on Nihiwatu was on horse back riding along the beach. This was a beautiful experience; truly relaxing and amazing for your mental wellbeing. If you’re keen to just switch-off your brain & improve your mental wellness, then Nihiwatu beach is for you! I loved walking along the 2.5km stretch of private beach at Nihiwatu, jumping in the ocean (which was a warm 29C) & finding gorgeous little baby turtles. I also loved hanging by the infinity pool & watching the sunset. It was truly stunning. In addition to all of these amazing experiences that will benefit your physical health & mental wellbeing which make Nihiwatu the ultimate wellness destination, you can also experience Sumba’s Culture. I just loved visiting the villages and seeing all the smiling faces of the Sumba children. I was also lucky enough to go to Pasola, a once in a life time experience that I will never forget! 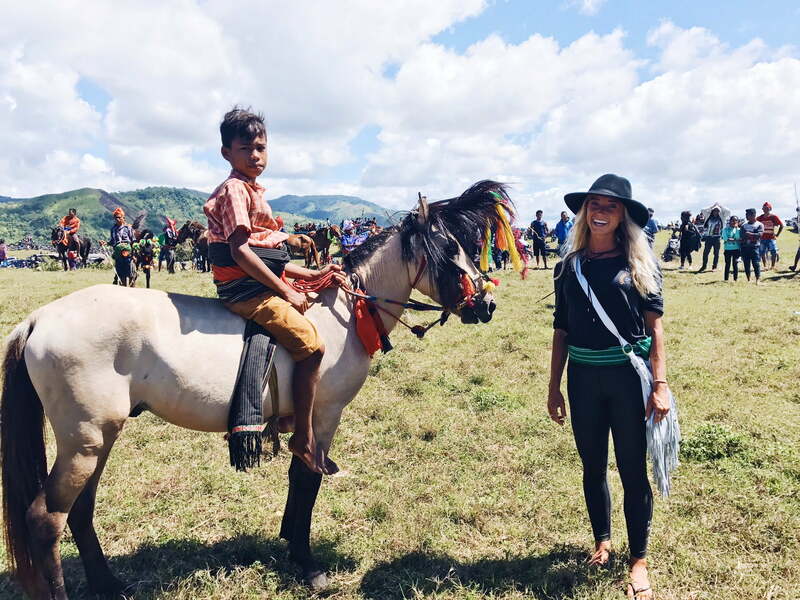 Pasola is a real life riot tournament between two teams of ikat-clad horsemen in Sumba. It celebrates rice harvest time & opposing tribes ride horses & throw spears at each other. They believe the more blood that is spilt, the better their harvest. I also loved learning about the work by The Sumba Foundation who has made a huge impact over the years on the local community. There is a rich, incredible culture to Sumba Island & The Sumba Foundation, which Nihiwatu support, work hard to have minimal impact on the culture while still making sure diseases are managed and surrounding communities are getting their basic needs met. For more info, check out Nihiwatu’s latest Youtube videos and website. Thanks to Fiona Peter’s photography for the images.